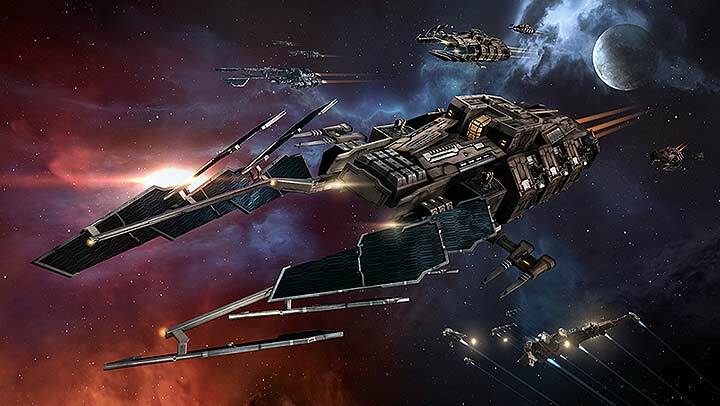 Eve is a game that benefits tremendously from mixing up your playstyles. This, combined with the influx of new players, led me to a question: what would happen if a 10-year Eve vet were to start fresh and roleplay a noob? The New Player Challenge happens, apparently. My goal was to start as a trial account, with no outside help, and just experience the struggle of a casual new player. Eve is painted as a very complex game – which it is – but not prohibitively so. I wanted to demystify the process as much as possible while dropping a few knowledge-bombs in the process. To do this right I wanted to simply play a few hours a week, explore my options, and just see what was possible for new players to do and what the rough patches were like. For added enjoyment, I decided to stream the entire process. Now let me get this out there – Eve is not the most exciting game to watch on stream. While the game is pretty, by nature of the game there is a lot of downtime and at times the action can be sparse – especially early on. To fill the void I try to add in as much starter-advice as possible and when I hit a noob roadblock, I explain how to get around it. It’s my first stream so it’s by no means perfect, but there are some fun moments. In game I try my hardest to maintain the noob persona, but on stream it’s vet-me doing all the talking. Nearly two weeks later, the average time of a trial (I got 21 days using a trial from an Eve account), and maybe 10 hours played I’ve managed to accomplish a hell of a lot. The missions were…an experience for me. I dare say I was flat-out bad at it, but I got up to level 2s and did the first Epic Arc with help from random players and some stream-bros. I got my first set of ships and made my first 15 million ISK in a few days. Nothing huge, but easily doable for a casual player and enough for fun. A huge hurdle I noticed from talking to fellow noobs and reading various forums is deciding what to do next. I asked this question in nearly any channel I was in and the responses I got, from players not much older than noob-me, was the generic “Eve is a sandbox you can do anything!” This is something that you hear all the time and, while technically true, it’s completely useless. Those people who told me I could do anything were stuck in the same clueless boat as I was – they just had an “answer”. So after making my nut and finishing the first Epic Arc, I decided to hunt for fun. While most of my compatriots were trying to figure out what to do next or pining over money and a bigger ship, I was curious to see what else I could do for fun. The best advice I can give in Eve is to join a corporation, in fact it’s bar-none the best thing you can do early on. So I sought out to do just that. I chatted with anyone that would respond, fumbled around, got killed by some dude in lowsec and eventually struck up a conversation with him. Like most people in the game, dude was super helpful. Told me why I died, how to make my fit better, and then gave me some suggestions on corps – including inviting me to join his own! So it really is easy to do, just have to start dialogue. I instead opted to join a new-player centric corporation that is popular: Brave Newbies. This is where noob-me and vet-me started having a /ton/ of fun with very little time investment. As noob-me went on various roams, vet-me was able to backseat the crap out of everything on stream diagramming the mistakes and thought-process of the FC. The Brave Newbie FCs were also learning so hopefully if they ever hear my back-seating they won’t take the criticisms too hard :3 Mistakes or not, it was tons of fun. Some of the highlights included – as a 14 day character mind you – killing a pair of Archons, quite a few Tech-3s, some faction battleships, shutting down roams, and even participating in a 500+ man brawl. It was cool! I noticed that many of the newer, or even moderately-aged players, are very afraid to take the first risk. There is always a way to be more prepared than you are, so it’s very common to get stuck in this “I need to get more skills or more money before I can do anything dangerous”. But I mean, if 14-day old me can do it then anyone can do it! Proving this was another goal I had for the New Player Challenge. If you want to try the big nullsec fleet fights to see how they are, you can just go do it in a snap. If you want to try out what it’s like being a low-sec pirate, do it! Industry tycoon? Why not. Don’t worry about having a billion isk in the coffers, don’t worry about training for a bigger ship or getting more experience, just hop in the deep end with something cheap and go buck wild. You can do it, and more importantly everyone wants to help you. Bodies are a resource that even the richest alliances cannot buy. As of writing I have another week or so left on my trial, but I’m going to continue beyond that and sub month-to-month and continue to explore all that Eve has to offer a noob. For now I’m in Brave Newbies doing null-sec PvP, but soon I’m going to try my hand at solo PvP and give pointers on that. I think wormholes are somewhere in my future since they sound so mysterious and daunting, but I have no set “plan” so I’ll play it by ear. When I’m not RP’ing a noob, in Eve Online my main character is named Elise Randolph. When I have ample time I’m without a doubt nerd-active in the game; Eve is more than just a game to me it’s more of a hobby. I’m an FC for a major nullsec alliance Pandemic Legion. At times people seem to think I help run the alliance, but honestly I’m mostly a cog in the glorious machine of 0wn. It is, without a doubt, my favorite alliance in Eve and has been since I joined a few years ago. I have also done Factional Warfare (I rather proudly set the first FW milestones back in The Day) and low-sec PvP. I do industrial stuff, in fact I got my start in PL doing a bunch of logistics-type jobs, and for two years I was on the player-elected representative body known as the CSM. Yea, a huge nerd. Whenever I’m involved in a big fight I tend to record what happened through battle reports. Posting is one of my favorite things to do in Eve, I sometimes joke that nullsec fights in Eve are just a pretext for posting. Sometimes I’m not joking~ One of my proudest accomplishments is posting an alliance into death. Additionally I’ve been fortunate enough to have participated on quite a few Alliance Tournament winning teams. I’ve even helped run a few (3rd and 1st place, woop woop). Not all that glitters is gold, though, and I never seem to have much luck with the NEO tournaments. In that vein I love to theorycraft fleet doctrines and solo/small scale fleets. I’m having fun learning how2stream with the New Player Challenge. Some hilarious things I managed to catch on stream has to start with me completely and utterly failing at doing missions. Not dying or doing it wrong, but simple things like failing to read the mission description or even accepting the damn thing. More than once my mission began by failing to accept it and wonder what the heck to do. I even got to an NPC that I’m still not sure how a new-player is meant to kill – I had to pull out a few tricks to do it. Next highlight was during my first low-sec outing. About 4 days into the game or so I came across a Macherial ratting in a belt in lowsec. I tackled it and my whopping 60 DPS wasn’t enough to break it’s passive shield regen. This was hilarious and incredibly frustrating – catching a billion-isk ship ratting in a belt is such a rare occurrence. Without a doubt the best streaming experience so far was to have Eve UI programer CCP karkur watch the stream and give me a few pointers on the radial menu. As a CSM there were daily interactions with the Eve devs, but this wasn’t a CSM thing this was just as some rando Eve player. I must say it was the coolest thing to have someone who helps make this game just randomly tune in, have a chat, and actually teach me how to use the (apparently) ever-improved radial menu. Eventually I’d like to expand the content a little bit. I have ideas, but if anyone has better ones I’d love to hear them – the stream is by no means limited to my noob character. Check out the stream, let me know what you want to see me do, and I’ll do my best to deliver. Hiya, I’m really glad I have found this information. Nowadays bloggers publish just about gossip and web stuff and this is actually frustrating. A good blog with interesting content, this is what I need. Thank you for making this website, and I will be visiting again. Do you do newsletters by email? I wish to acquire more followers by sending my photos to blogs. Like when people click via, they will certainly connect to my blog site. Hiya, I am really glad I have found this information. Nowadays bloggers publish just about gossip and web stuff and this is actually annoying. A good web site with exciting content, this is what I need. Thank you for making this site, and I’ll be visiting again. Do you do newsletters by email? Awesome post. I am an ordinary visitor of one’s internet site and appreciate you making the effort to keep up the wonderful site. I’ll be a regular visitor for a lengthy time. Hiya, I’m really glad I have found this info. Today bloggers publish only about gossip and internet stuff and this is actually frustrating. A good web site with interesting content, that’s what I need. Thanks for making this web site, and I will be visiting again. Do you do newsletters by email? Hey there. I discovered your site via Google at the same time as searching for a similar subject, your website came up. It appears great. I have bookmarked it in my google bookmarks to visit then. Awesome post. I am a normal visitor of your blog and appreciate you taking the time to keep the nice site. I will be a frequent visitor for a really long time. Hiya, I am really glad I’ve found this info. Nowadays bloggers publish just about gossip and net stuff and this is actually irritating. A good website with interesting content, this is what I need. Thanks for making this site, and I will be visiting again. Do you do newsletters by email? Hiya, I’m really glad I’ve found this info. Nowadays bloggers publish only about gossip and internet stuff and this is actually irritating. A good site with exciting content, that is what I need. Thanks for making this site, and I will be visiting again. Do you do newsletters by email? Very interesting points you have mentioned, appreciate it for posting. “The judge is condemned when the criminal is absolved.” by Publilius Syrus. Hiya, I am really glad I have found this information. Nowadays bloggers publish just about gossip and web stuff and this is actually annoying. A good blog with exciting content, that’s what I need. Thank you for making this website, and I’ll be visiting again. Do you do newsletters by email? Thanks for the update, can you make it so I get an email sent to me every time there is a new update? Hello my loved one! I wish to say that this post is awesome, nice written and come with approximately all vital infos. I’d like to see more posts like this . Hey there. I found your site by means of Google even as searching for a comparable subject, your website got here up. It appears to be good. I’ve bookmarked it in my google bookmarks to come back then. Hi there. I found your website via Google while searching for a comparable matter, your web site got here up. It seems great. I’ve bookmarked it in my google bookmarks to visit then. Hi there. I found your web site via Google while searching for a related topic, your web site came up. It seems good. I’ve bookmarked it in my google bookmarks to visit then.